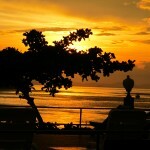 Dive Phi Phi the way we like to; small groups, flexible schedules, relaxed, safe and professional. 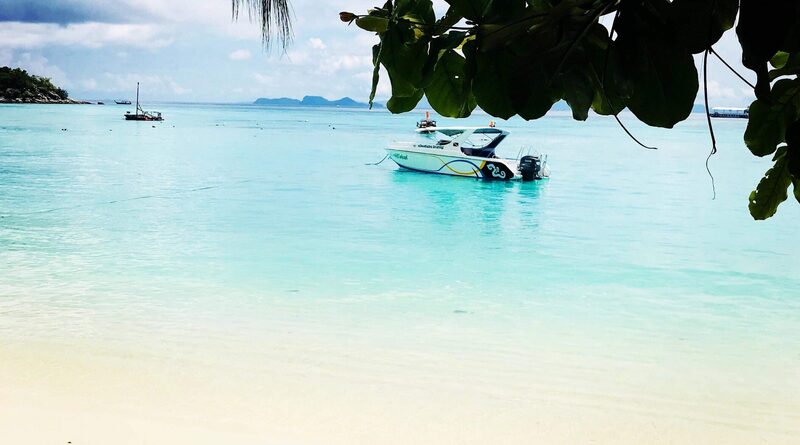 Dive Phi Phi Island with Blue View Divers; a PADI 5 Star Dive Resort & Green Star Awarded diving centre run with safety, the local community and environment in mind. 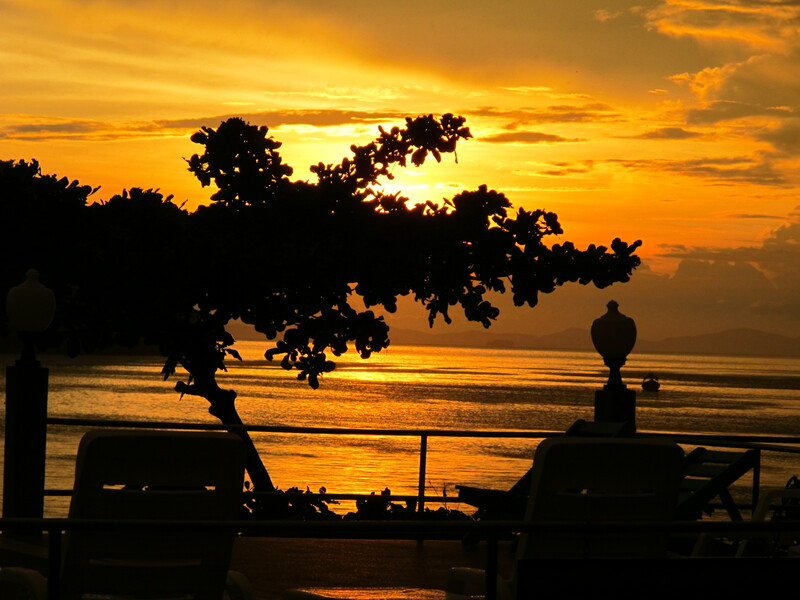 Our beautiful office overlooks Loh Dalum Bay with stunning views of the Andaman Sea. 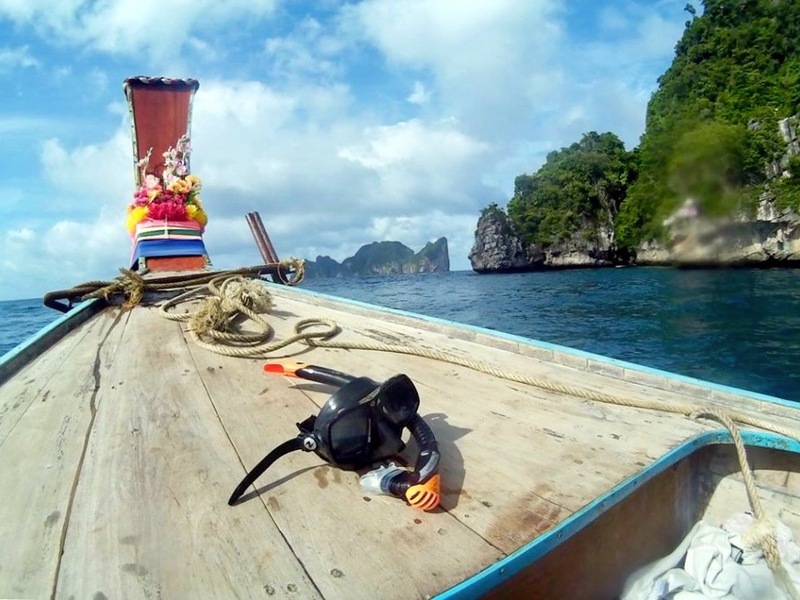 Our team of eco minded PADI Professionals have years of diving experience around Koh Phi Phi & love sharing unforgettable experiences from our custom built Thai Long tail boats. 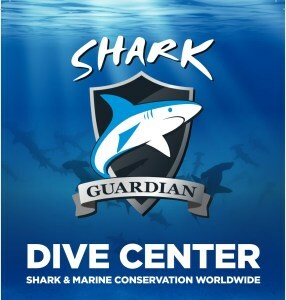 As Phi Phi’s first Shark Guardian Dive Centre we are committed to educating divers and snorkelers on Shark Conservation and plastic pollution in our oceans through our Eco Tours, daily diving programs and citizen science projects such as eoceans.org. 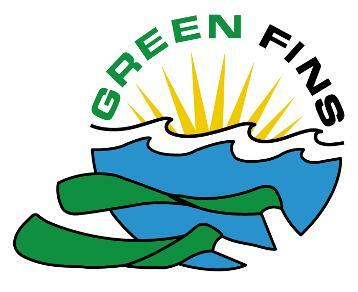 We proudly support Green Fins Thailand and follow their Eco Friendly Diving and Snorkeling guidelines & by being role models for divers to follow. We are active members in the Phi Phi Local Dive Committee and encourage sustainable and safe diving practices through all of our programs. 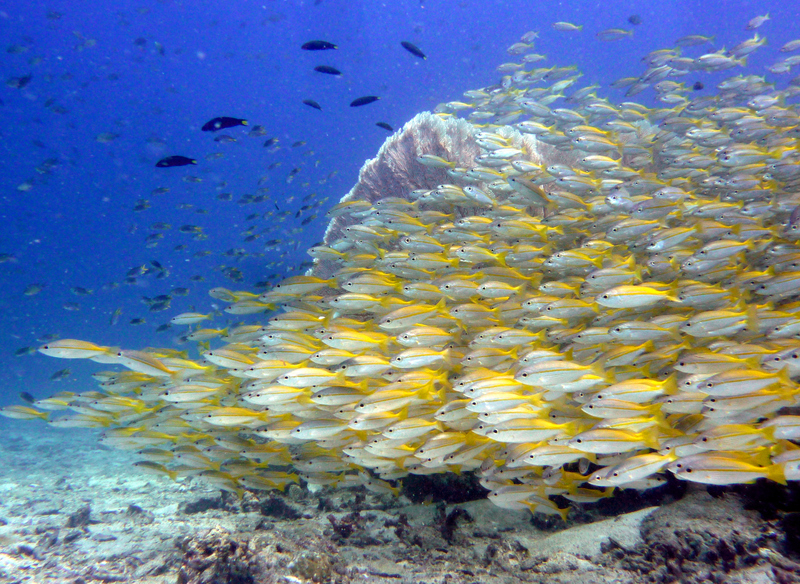 Dive Phi Phi Islands with our knowledgeable team and learn how to be a responsible diver! 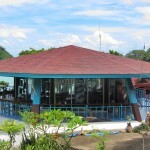 Blue View support Trash Hero Koh Phi Phi’s Bottle Refill Program and offering FREE WATER REFILLS for our guests! Refill your bottle at our water station to help reduce plastic waste on our beautiful island! 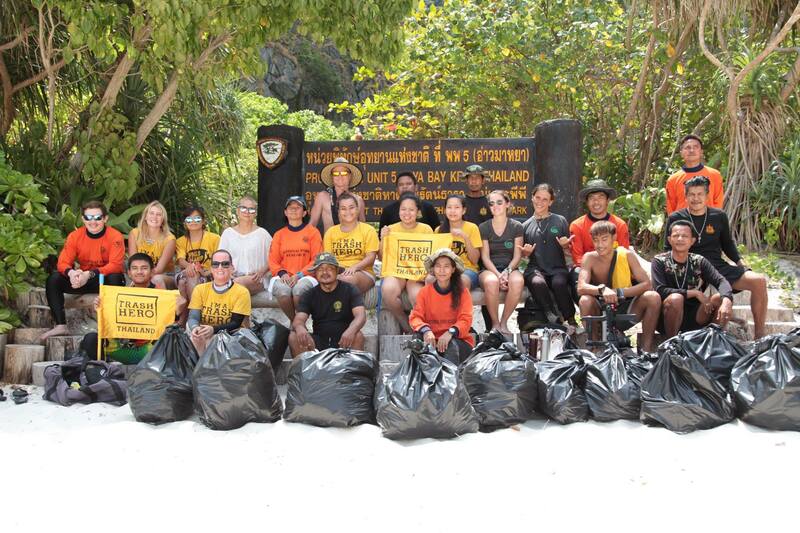 Join our post dive beach clean or a Trash Hero Koh Phi cleanup! Learn about our journey to ‘Zero Waste’ by visiting our Pilot Scheme Recycle Station. Daily Dive Trips around Koh Phi Phi National Marine Park are guided by fully certified, experienced PADI Professionals. We offer morning and afternoon departures with two dives each trip and lunch served in between. With almost 20 dive sites to choose from, you won’t get tired diving for several days! Our Local Marine Park is home to beautiful shallow reefs, coral walls, turtle grazing areas, reef projects and our local Wreck; The Kled Gaeow. When you dive Phi Phi there is plenty to offer divers of all levels, from beginners to advanced & lots in between. 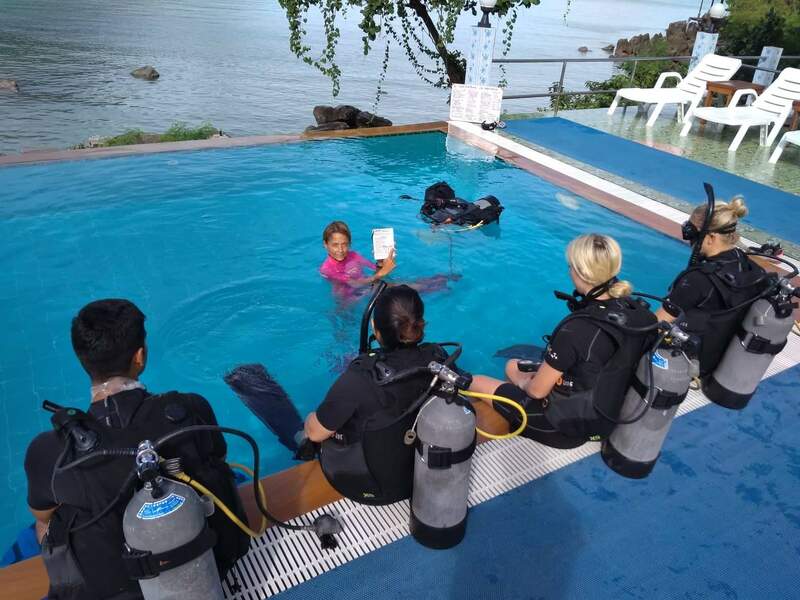 We offer a full range of PADI courses; Join us for your first dive! Or signup for Entry Level, Advanced, Specialities and Professional. All diving takes place in a professional yet relaxed manner. Infinity Pool access for training makes your introduction to scuba diving much more comfortable, especially for nervous divers. 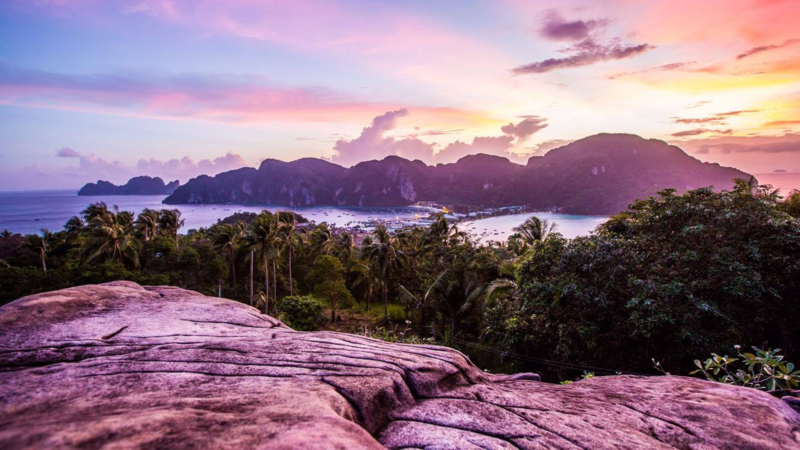 Avoid crowded tours and enjoy an authentic local experience by exploring Phi Phi on a traditional Thai Long tail boat! Rent your own private boat for the day and go anywhere you like, or join our cool Eco Safaris! 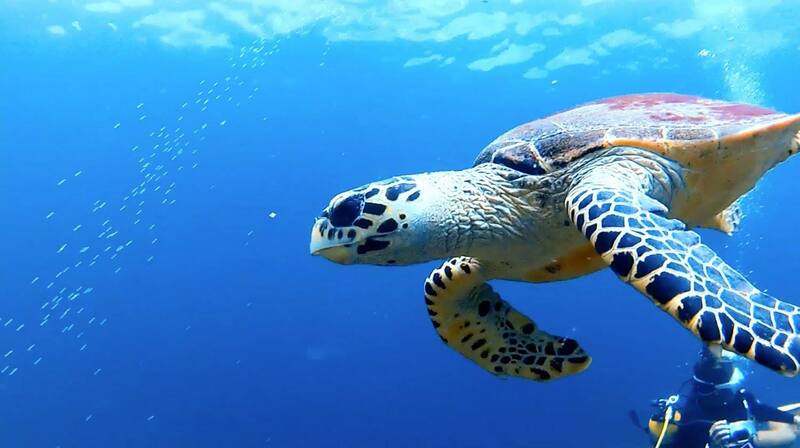 Our guided educational Eco Tours are designed to offer an unforgettable experience with local marine life. Are you thinking about becoming a PADI Dive Professional Diver? 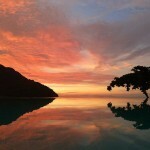 Check out our PADI Divemaster Camp which runs year round. Join us any time through the year for a thorough course with a strong focus on ocean conservation and quality training. Blue View Divers are found in the Lonely Planet Guide books because of our long running environmental projects and unique longtail experience. We are also highly rated on Trip Advisor thanks to our happy divers and snorkelers. 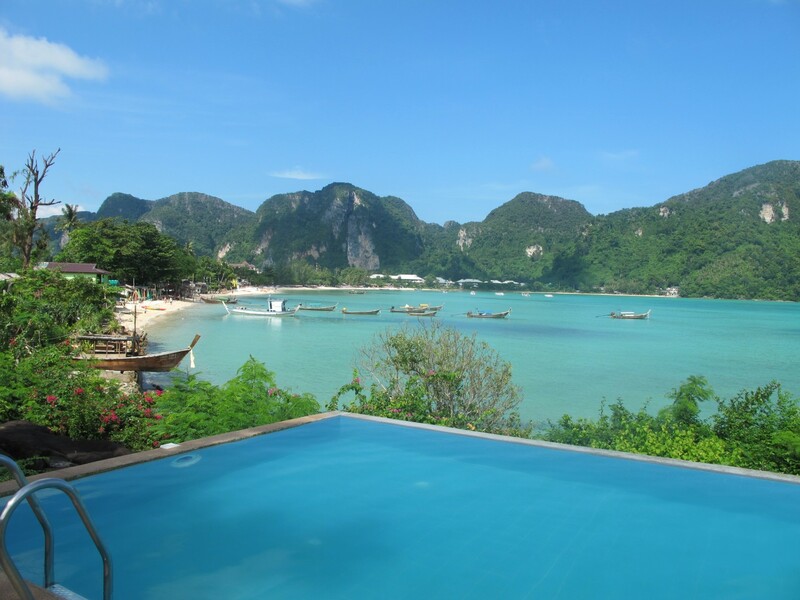 Blue View Divers is located in a quiet area inside Phi Phi Viewpoint Resort, just outside of Tonsai Town. We are lucky to have the best dive shop location & view on the island, so it is definitely worth coming to find us! 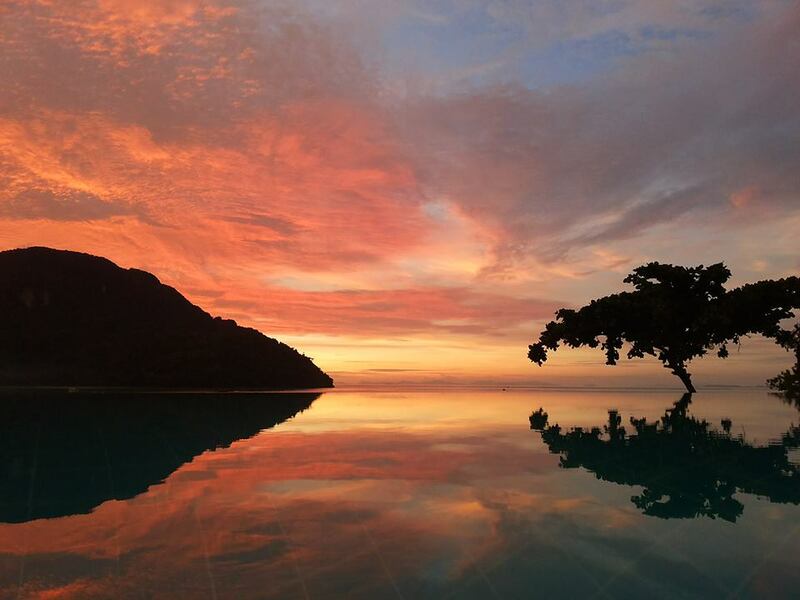 Student divers can study with an incredible view over Loh Dalum Bay and the Andaman Sea. Bring your camera at sunset, it’s beautiful!! For more information on how to find us click here. Koh Phi Phi is 50km away from Phuket and Krabi by ferry, therefore to dive with us you must stay at least one night on the island.